Along with being able to play as teams, the set includes several new weapons. One's the silenced pistol. 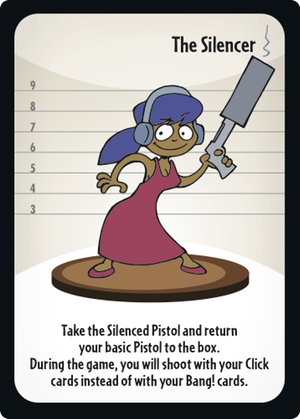 With this gun, you shoot with "click" cards as opposed to "bang" cards. 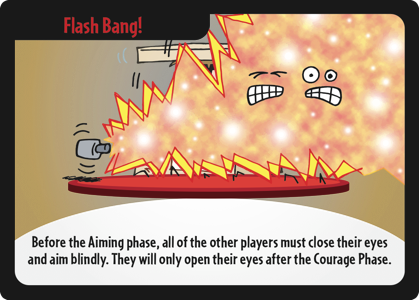 That means you've got extra cards with which you can wound enemies. There's also several new Surprise cards. 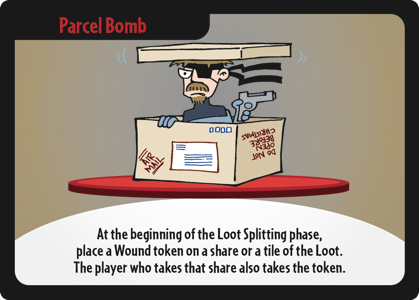 Parcel Bomb can make a piece of loot look a lot less enticing, while Flash Bang has people aim blind in a round. Pre-orders are being taken now and those that are headed to Gen Con can check out the set while there.